Following the conclusion of the Champions League quarter-final and semi-final draws, many pundits and bookmakers believe it would be a smooth sail for Barcelona and Juventus, but according to Mauricio Pochettino, the title is going back to the Camp Nou. The Spanish giants will play Man United in this year’s quarter-finals, and may likely meet another English opposition(Liverpool) in the semi-finals. Poch will be targeting a semi-final spot when they trade tackles with Pep Guardiola’s Manchester City in an all English affair. 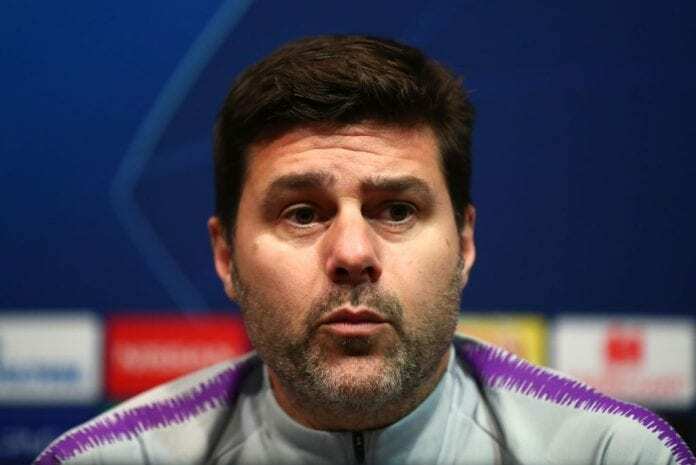 Despite Man City emerging as bookmakers’ favourites to win the competition, Pochettino believes the Catalan giants will land their sixth European Cup. Speaking in Barcelona, where Tottenham spent time training last week, Pochettino told Sky Sports: “If there is one favourite team to win Champions League it is Barcelona. The former Saints boss further admitted his team might be the dark horses in the midst of other top teams like Juve and Man City. “You have teams such as Manchester City or Juventus that will always have chances to win the competition because they are teams who are designed to do that. There is always room for surprises. And we hope Tottenham could be that surprise. “I think the Manchester United team that has been built during the past few years was built to win big things. But winning important competitions such as the Champions League or Premier League always depends on the small details. Spurs will face League leaders Liverpool at Anfield after the international break as they fight to hold on to their Champions League spot.